We are a family agency committed to caring for your needs. We understand and value the importance of your independence, which is why we make it our priority to guide you in gaining your independence in the comfort of your home. We provide services around the clock, 24 hours a day, 7 days per week and customize a care plan based on your uniqueness. Our Agency is staffed with professionally trained and certified caregivers who are compassionate, caring, trustworthy, and who are flexible to work accordingly to our client’s needs. 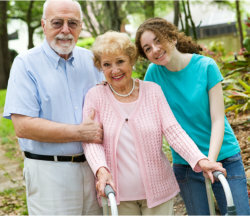 We take great concern in partnering you with a caregiver who matches your personality and your needs. Our team is looking forward to hearing from you and to provide you with more information on how you can begin taking advantages of the quality care we have to provide. Our consultations are free and with no obligations. We have very competitive prices and are here to work with your budget. Call us today at 203-381-9927 to set an appointment.